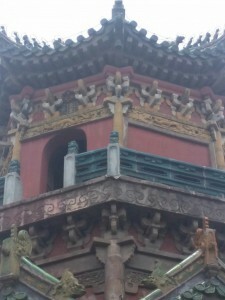 A passage from le yu tang. “Refining” and “mind,” these two words are the entire and the only method of the thousand realities and myriad sages. Any things outside of this are false paths.”- Huang yuanji , le yu tang (the Sichuan chronicles). In the early treatise in the document “Laozi middle classic,” immortals of the Daoist tradition are described as living within the bodies of all people. Some such examples are The Eastern Patriarch King and Western Matriarch Queen who live in the left and right eye respectively, as well as the Red Boy, their child who lives between the eyebrows inside the head. These concepts of immortals living within our own body not only served to establish the concept of the human body as a holy place, but also served the role of creating certain types of practices centred around creating a harmonious environment for these gods to occupy. Many ideas arising in later permutations of Daoist meditation also borrow on these ideas and it is very important to recognize the complex relationship between Daoist religious ideas and Nei Dan. This type of early ideology in Daoism seems each individual part of the body as having to be brought into balance and harmony with every other part through various practices including visualization, prayer, ceremony, controlling ones behaviour and other forms of self cultivation. The ideas expressed in such documents are a great interest of mine and over the next few posts I wish to touch more on individual ideas from Laozi’s Middle classic as well as other similar documents, to discuss how they relate to Nei Dan practice, which while coming from the same ideological root, is very different in its understanding of how to create harmony and health in the body and spirit. It has been a very common practice among people at different levels of achievement in the spiritual community to give advice on all manner of global political and economic situations to the people who follow them. These forms of advice can come in the form of virtually any opinion ranging from calling for peace to calling for all out genocide, and the voice box of these leaders may be as small as a few hundred people or as great as being in the hundreds of millions. Spiritual leaders are looked to within their own communities as speaking divine truth and are often widely respected outside their communities as being experts on all things from the spiritual to the mundane. It is very common to see world spiritual leaders talking about peace and prosperity and what problems are making it difficult for humanity to achieve these wonderful principles. They speak in vast and generous terms about how some members of society are treated unfairly and how others are in a role of responsibility to try to help them, but there is a very important question that we should ask ourselves when we are confronted with these fantastical diatribes. Are they really qualified to know whether what they are saying is true or not? Starting with a simple example, regarding spiritual leaders who advise violence in the name of religion, it is almost always certain that violence taken up against others for the cause of belief is destructive to humanity and causes great suffering. It should be very obvious to those who are not indoctrinated by these people that these forms of radical rhetoric are not legitimate to the cause of advancing humanity. If religion is to be the tool of alleviation from suffering, then surely any religious leader calling for the mass murder of populations of people from outside of their own belief systems must be seen as heretical to the very most basic cause of spiritual practice, the reduction of human suffering. What about people who propose reasons for many of the terrible inequalities and sufferings in our world, and how they may be overcome? Usually, these leaders have very simple and direct messages which make us feel vindicated and justified in our desire to help others and to identify what aspects of our own behaviours are holding others down unfairly, but the fact of the matter is that their rhetoric, while perhaps not being as directly destructive as the calls of genocide committed by some leaders, are indirectly harmful to society and also extremely short sighted and irresponsible. Something we must consider in regard to the words of spiritual teachers is that they are only experts in the field of their respective doctrines, and almost none of the major leaders of spirituality have any direct involvement in governing countries, regulating economic systems, or engaging in the very delicate affairs of international relations. Most of these people are also beholden to a specific religious world view which places peace on earth above all other causes, except perhaps for the expansion of their own ideologies. Whether it is the Dalai Lama insisting that all war is wrong, or the Pope insisting that all violent terroristic acts in Europe are perpetrated due to economic injustices, rather than religious zeal, it should be the domain of all sensible people to consider whether or not these statements have any empirical basis in reality, or whether they are speaking according to their own dogmatic world view and personal bias. When we consider the typical Buddhist message of peace above all other causes, this concept certainly holds true regarding non violent reaction to common frustrations such as insult, economic pressure, and the day to day difficulties of interpersonal relationships, but it did not do much to protect the countless Buddhist monks who were murdered and persecuted during the cultural revolution, nor would it help if one global superpower were to direct nuclear weapons toward another under threat of total annihilation if they failed to capitulate. Considering the recent statement of Pope Francis, it should be carefully considered as to weather his words hold any merit, or whether they are simply a way to gain the admiration and support of people with political opinions which are similar to his. The fact of the matter is that regardless of the economic conditions of terrorists, violent, murderous outbursts are not to be accepted and it is not sufficient to simply pin the blame for these problems on economic inequality. The reason why I claim that these attitudes are not responsible is because they essentially aim to shut down negative reaction to the real and imminent threats we face in the world today. When we choose to ignore these threats, we are not doing humanity any favours, and a sense of compassion, while admirable, is only beneficial if it prevents people from suffering. From the perspective of a spiritual leader, there is one quality more important than compassion, and that quality is wisdom. Given the degree of political chaos and division currently existing in Western society today, any calls for peace on the part of spiritual leaders should be thought out extremely carefully before they are uttered to tens of millions of perspective followers. Taking on polarized political opinions and privileging certain perspectives which are attractive to the agendas of these leaders in gaining popularity and changing the world according to their own aims does not show that they are nice, enlightened old men, it shows that the emperor is wearing no clothes, and that they have not escaped their karmic attachment to polemics and self serving rhetoric. When we consider real and present political situations, we should not seek to understand them based on hearsay evidence and emotional reaction, we should try as much as possible to judge them based on the empirical evidence available to us on the subject of why events happen in the way we do. The Pope standing in front of an Audience of thousands and proclaiming that inequalities in wealth are the cause of social violence in Europe is not evidenced by any relevant information as proof, and is an obvious appeal to the trust and admiration of his believers, thus furthering the already clear evidence that religious leaders do not have any moral or intellectual superiority over the common people. They are equally susceptible to personal biases, vanity, and all of the other ugly phenomenon that go along with being viewed as an expert by other people. Their unbalanced political statements truly show us the value of their spiritual beliefs in action, and the resulting miasma of antipathy surrounding their statements is underwhelming to say the least. The central point that I wish to press forward in this article is that although spiritual leaders may possess very high levels of compassion and expertise in their respective fields, they are not experts on geo-politics, and their statements are not valid replacements for your own research into understanding the complex underpinnings of the social and political climate in the world today. Research for yourself and form your own opinions. No expert, not even one who is sanctified by a religious tradition is beyond falling prey to their own biases and vanity. The holiday season is upon us and I thought as a gift, I might offer some translation and commentary of a very good meditation classic from the Eastern School of Nei Dan called “Three Carts Secret decree” by Li Xiyue. This method details Li’s basic method of cultivating the mind and Qi together and among Nei Dan documents is one of the clearest and easiest to understand. commentary: When people first start out in practising meditation, their minds are not yet able to become completely quiet and still, so it is hard to separate what is clear from what is unclear. This stage of practice seeks to begin the process. Commentary: it is normal for people who aren’t experienced in meditative practices to think a lot without even really knowing that they are thinking a lot. The mind wanders from place to place in its musings and worries, and it is difficult to make quiet. The active mind is not just made up of thoughts and imagination, it also contains our innermost desires, fears, and emotions which block us from seeing reality clearly and as it really is. If you are just starting out in meditation, it is really difficult to control the mind and it doesn’t come from trying to force the mind to be quiet, or pushing away feelings and ignoring thoughts. There is another, better way to control the mind. the phrase “setting the attention” means that you stop the attention at some point, in other words, you direct the mind to some point within yourself and you keep it there. If you can stop the mind in one place for a long time, then little by little you will make progress in refining it into a quiet, and pure mind. Li is referring to the “Qi Xue” point which is a cavity under the lower Dantian area in the deep abdomen. this point should feel empty and without any specific feeling. That is where you should place your attention. Remember to focus on the quiet and emptiness of placing the mind there and don’t make too strong of an effort. It is important to stay soft and relaxed, quiet, and calm, but maintain your attention on that spot. The mind after being directed to that place should rest inside and remain calm, quiet and empty, the breathing should seem as thought it is mixed with the mind. Staying quietly in that one place, the mind and the breath seem to mix together in emptiness. This is an important part of the process, constantly review how to maintain emptiness and a spiritual connection to the breath. The space inside of the Qi xue point is not an exact shape, but rather it becomes unclear as to what shape it is. the breath comes and goes from this place and it is both direct and indirect. You shouldn’t put your attention on breathing directly in a line to this place, nor should you allow the breath to be scattered all around. Instead, it seems like this empty space is naturally dark, opening and closing without your help, and it seems like any definite sense of the nature of this place is unavailable to your reasoning mind. The important thing is to keep the attention focused there but not force it. comment: maintaining the mind in silence like this for a long time will naturally allow the mind to return to silence and to let your body and mind operate naturally as they would when you were gestating in the womb, building and growing,and not striving for anything. Make sure that the body above this area does not move and don’t let the mind jump around from place to place. Make sure you are totally quiet and totally calm, and you will naturally return to the silent, stable, and clear, root of creation. When the mind finally becomes calm, it will seem like the mind is naturally illuminated in that area and that it mixes together with the breath. The mind will become dark and turbid, as if it is very vast, much more vast than in your normal awareness. It is quiet and totally calm, serene and at peace. This is the method to use to begin the practice of meditation. I hope you enjoy this practice and I wish you a very healthy and happy holiday season and new year. Remember not to use any type of physical or mental force to do this. Relaxation, quietude and calm are what makes this work, and even if you were to strip away the attention aspect of this practice, just focusing on making the mind dark, quiet, and calm, and soothing the breath would already have a very beneficial effect. If you like this practice, please consider purchasing a copy of my book or taking a course with me. If you have any questions about the practice, or observations you would like to share, please leave a comment in the comments section and I will answer you as fast as possible. Analysis of a passage from The Yellow Emperor Secret Talisman Classic. “heaven’s nature is the same as that of human’s. Man’s mind is its mechanism. This passage is constructed of the key idea that the nature of the sky and humanity is the same, and that the human mind is the mechanic element by which the two are united. If people can copy the fundamental nature of the way of the heavens, then they will naturally become stable and stronger. Some people have made the assertion that the heaven’s are considered as an empty space and comprised of yang energy, and that this passage is encouraging people to empty the mind in the same way as the sky, but this is an oversimplified concept which is not true to the original text. The actual meaning of this statement is that the mechanism of the sky, that which holds all of the natural world within it, The sky not only consists of emptiness, it also consists of movement of air and it contains various cycles of phenomenon such as the rise and fall of the sun and the moon, cloud cover, rain, thunder and wind. Each of these phenomenon change naturally with the seasons and although they are not predictable in an absolute sense, it is possible to know when they are likely to occur. For instance, the waxing and waning of the moon and rise and fall of the soon are consistent and can easily be defined to the minute according to time of year and geographical locale. Most parts of the world usually have four major seasons, each with its own unique weather patterns, and each of these can be predicted with at least some degree of accuracy, although they do change from year to year. The human mind and body are very much the same. The mind experiences emotional events, some obvious and some subtle. We are happy when we come into fortune, and unhappy when we meet with misfortune. Sometimes our minds seem clear and other times they are clouded by thought or feeling, and there are times of turbidity and change that accord to events, thoughts, feelings and so on. The body goes through a natural development, ageing, and dying process, and although it is possible to protect the body to some extent, it will eventually die and pass away. The Yellow Emperor Hidden Talisman Classic uses the concept of the similarity between people and the sky in order to advance a synthesis of Daoist and Confucian ideas which suggests that in the understanding of our nature as the same as the nature of the world, we can take advantage of both in order to become more healthy, conscious, and take advantage of the forces of nature, rather than being at their mercy. The important point to take away from this passage is that people’s minds are the mechanism by which humanity and the heavens are connected. That is to say, our minds are the interface between us and nature and they are the way that our corporeal forms are able to take advantage of nature in order to advance ourselves. Firstly, I’d like to make the assertion that industrially produced tea is almost never as good as family produced tea. One of the biggest problems facing tea buyers is that the amount of industrially produced tea on the market outweighs small farm produced tea by staggering proportions. One of the biggest factors influencing industrial crops is that it is simply not possible to have enough skilled workers on site to be able to give the tea the attention it needs to be top grade material. Industrial farms are looking to maintain certain specific standards for whole sale pricing, so basically, the quality of their tea will remain the same from year to year. This is done by blending of various qualities of leaf, and different cultivars. In the case of tieguanyin, it is quite common for benshan oolong and maoxie oolong to be blended in or substituted for real tieguanyin in order to bring prices down. These low mountain teas are easier to harvest by machine, meaning that their yields are larger and their price is lower. This indicates the first big problem with tieguanyin, which is availability of genuine leaf material. It is a simple fact that much of what is sold as tieguanyin is in fact made with a cheaper and easier to grow cultivar or cultivars. The next problem is that mass produced tea fields are almost always controlled for pesticides by using heavy amounts of farm chemicals. This is especially true in valley area farms where the heat and mositurw attracts many pests who eat and destroy tea crops. Heavy pesticide use is gross and sometimes unsafe. Tieguanyin sold by one major Chinese label made it into a marketplace study done by CBC which showed it to contain 17 different pesticides, on one leaf, some of which are banned internationally. These problems are hugely prevelent in anxi, and don’t think that because Taiwan’s tieguanyin is grown far away from there that it does not also experience this problem. There are many fawianese producers who import tea from anxi and bake it in Taiwan, so the problem of dangerous and fake teas is also very common there . The best tea is made by experts in production, and so whether it is a small and dedicated family farm with a long history of tea making, or it is an expert work person who has developed their craft over many years, it is important to track down suppliers who are serious about good production practices. 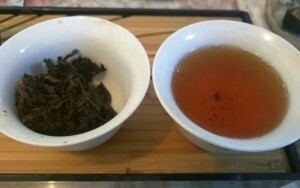 – Chinese tieguanyin is often green and unbaked while Taiwan tieguanyin is always baked. – the perfume of Chinese and Taiwanese tieguanyin is different, with the Chinese teas usually having a stronger smell. – both leaves usually follow a plucking standard of one leaf and a stem. Regardless of what region the tea comes from, it should be sweet, have a large perfume, cause the throat and chest to relax and open after drinking, and have a somewhat orchid like floral perfume. Tieguanyin is an astringent cultivar and unless it is very high quality, usually there will be some astringency or slight bitterness in the taste. Taiwan makes up for this through oxidization and baking, while Chinese tieguanyin often keeps the astringency, but the workmanship used brings out the perfume more strongly and as a result the astringent taste is covered (many older people don’t drink tieguanyin because it hurts their stomachs). Sheng pu’er, the tipping point. This sheng pu’er from 2007 has reached the point of being very enjoyable to drink. Most of its astringency has gone away and what is left behind is a smooth, long lasting taste and mouth feel. It is a little cooling with a peppery aftertaste that stays in the mouth long after you finish drinking. We will be carrying similar teas in the store this winter, so keep your eyes open. The tipping point is a phrase I’ve coinded to indicate the time when a raw pu’er tea brick has undergone sufficient ageing to be ready to drink. With puer tea, there really is no standard amount of time a tea must be aged, but rather, that tea is drunk by people according to the basic characteristics of the tea and personal preference. Puer tea is a large subgenre of Chinese tea and has many different variations both in growing region and cultivar as well as workmanship. The tea can go from being very subtle and soft to strong and overpowering. It can also run the gamut from sweet to bitter, sour to salty and pretty much every taste in between. Puer is a big category and as such, how it is consumed varies greatly on regional standards, production and preferences. Some people like to drink very fresh sheng pu’er and others don’t. To further complicate this, some types of sheng pu’er are very acidic upon harvest and need some time to mellow and soften. A very traditional idea in places such as Taiwan and Hong Kong where puer has been popular for a long time is that it is better to wait for the tea to age anywhere between ten to forty years before drinking it. The logic is that older teas become much sweeter as they age and also possess certain mildly tonical benefits which can invigorate the body and aid digestion among other things. Obviously ageing tea for this long requires a great deal of patience and care, so the average price of old bricks of pu’er tea can be very expensive. This prohibitive expense has lead many people in mainland China to simply drink sheng pu’er within a few years of harvest or to drink it’s fermented sister, shou puer. Many older people find fresh sheng tea to be a little too hard on the digestion, and it is not uncommon for people to collect puer over long periods of time, enjoying it in retirement. Some sheng pu’er is also of a very high standard and tastes good directly after harvest. These teas are fairly rare and usually quite expensive, bit there are many people who exclusively drink these higher quality puer teas, usually coming from wild bushes. This is certainly the standard practice among yunnanese tea farmers I have encountered , as most of them have little interest in drinking aged tea. Part two: how do I age my puer? There is no final consensus on ageing puer tea, except that perhaps the process is different from ageing other types of tea. Most types of tea leaf will become saturated under normal open air climactic conditions and this saturation leads to a spoiled and undesirable taste. Puer on the other hand, because of its compact nature does not spoil in the same fashion. Some people I have met suggest ageing tea must be done in dry environments in order to avoid manifestation of mould over time, while others believe that tea should be kept in more moist environs, in order to allow it to gradually change into a more seasoned tea, somewhat like how cigars can be aged in a humidor. Regardless of how you age puer, you should keep it out of direct sunlight, since UV rays can damage the tea. How long you age it for is also up to you. It is a very common practice to buy several cakes of the same tea, drink one on the year you bought it, and then wait a few years between cakes, being able to taste the tea all through its ageing process. Puer is a fascinating tea and there is lots to be learned about it while you engage on your tea journey. The best basic advice on meditation! Normally when people meditate, they will close their eyes and darken their vision. This is fake meditation! In this post, I would like to touch a bit more on the subject of Fu Qi, how it works, and what it is meant to do. It should be noted here that this post does not include any practice methods, nor should you try to guess how the practice works by yourself without the instruction of a qualified teacher. – 1: To improve circulation of Qi in the body and nourish the internal organs. – 3: To calm the mind. There are many different methods of “swallowing Qi,” and it can’t accurately be described as a single school with on unified theory. Swallowing Qi methods also each have slightly different goals, with some focused on more material results such as cleansing and strengthening the body, and others with more spiritual goals such as realizing emptiness and becoming enlightened. Regardless of the goals, usually every method seeks to reduce the amount of food required by a person to survive. Fu Qi is typically practised in all of the major postures of lying down, seated, standing, and walking and usually involves a breathing method mixed with a certain type of visualization or visualizations. Some methods are very simple, such as breathing to the various sections of the abdomen and imagining that the belly is full, but other types can be as complex as following very specific cycles of visualizations related to the major organs of the body while imagining that the breath is being drawn to them. Fu Qi is sometimes closer to types of meditation based on visualization, sometimes closer to Nei Dan, and sometimes more based on breathing methods without the same degree of intention based activity. Swallowing breath is a very important historical pass at what would eventually become Qi gong, and ultimately went on to have its theory combined with various other arts such as leading and stretching (Dao Yin), and visualization (Cun Xiang) in order to create the various popular 20th century Qi gong methods popular today. alone cultivate one nature is the way to ensure success. swallowing qi and eating clouds, all of it is false. There is much to be discussed in regard to this passage from Understanding reality by zhang boduan, but what I want to focus on today is the question of what are the false methods of practice which he is discussing? And what does he suggest as a better method? 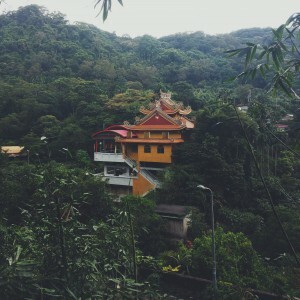 This section deals with the concepts of physical exercise as a means of cultivating the Dao. “working the body, pushing and stretching” refers to Daoist yoga practices, sometimes called Dao Yin, but often called Nei Gong by modern practitioners. 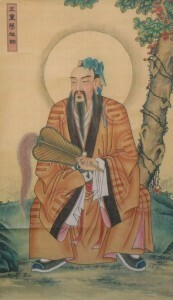 Zhang felt that these practices were not the real Dao because they did not do anything to cultivate the mind. Rightfully, they can be considered a type of physical preservation practice, but they do not have the basis of internal elixir, which is the practice of the mind and achievement of clear consciousness mixed with natural energy of the Dao. Swallowing Qi refers to a type of ancient Qi gong practice that was originally used by the Tianshi Daoists, as well as other groups in order to cultivate the Qi of the internal organs. It involves various practices, but most importantly, the practitioner imagines that their breath is drawing certain colours into the five major organs of the body. They are green qi/liver, red qi/heart, yellow qi/spleen, white qi/lung, black qi/kidney. this is done in various ways, often including additional meditation on emptiness, various breathing exercises, physical movement or stillness, and prayer to the deities of the five directions. Eating clouds should actually be translated as “Eating red clouds,” and refers to a similar type of visualization practice, and visualization practices in general. Zhang felt that these practices were a waste of energy and not as good as holding the mind and body together as one. Zhang’s idea is based on what is called “Pre heaven” practice in Daoism, a type of practice which is focused on using a sense of mental and physical oneness to cause the body and mind to seem to disappear into emptiness. The other practices mentioned would later come to be viewed as “Post heaven” practices, and although Zhang rejected them, many of them continued to be developed in other Daoist schools, and ultimately went on to become what we call Qi gong, Nei Gong, and Dao Yin today. The key difference between these post heaven physical exercises and the pre heaven “internal elixir” method of Zhang Boduan is that all of those methods require the body and mind to be directed to more than one task, meaning that the mind must always be made alert and activated, meaning that it can’t relax fully and join with nature. Zhang’s method allows the mind to relax fully, since it only has one task, and as such, the body reverts to a natural phase of rest, recovery, and repair, building and replenishing energy in the body. Both types of exercise are good, but this passage of understanding reality essentially isolates the difference between internal elixir and other Daoist methods.